Strong wash basin hanging frames for wall hung basins. 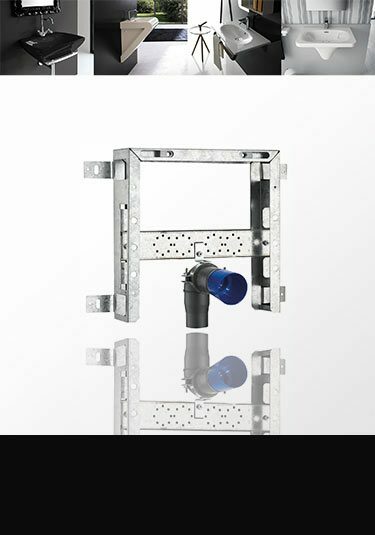 Each mounting frame has threaded hanging bolts which are adjustable, height adjustable legs and holding junctions for the easily installation of the water pipes and waste. This wall mounted wash basin frame is a quick and safe way of installing wall hung basins. The wall bracket is simply screwed onto or within the bathroom wall and then the basin is then bolted to the hanging frame. This easy to install basin mounting frame is easily screwed to the timber wall supports at the required basin height with the wall hung basin then screwed to the timber backing support. Each wall hanging frame has clamps for the easy holding and positioning of the water pipes and waste pipe. Livinghouse supplies from stock of bathroom installation frames for the safe and easy installation of wash basins and sinks. With the popular trend towards wall hung bathrooms, the installation problem has been finding a strong solution for the wall hanging of basins and toilets. 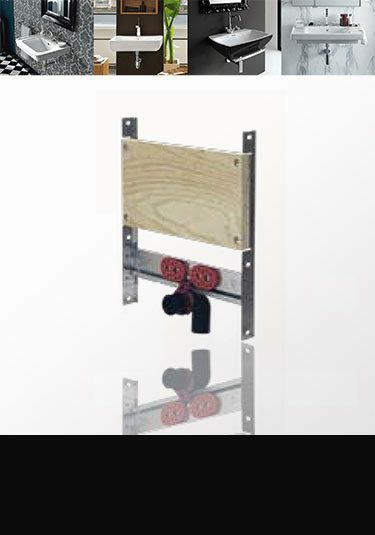 We offer a professional installation system of strong metal hanging frames that can easily be screwed between the timber studwork with a floor mounted version also available for large and very heavy basins. These basin frames offer a strong base to screw or bolt the wall hung sinks to the wall. Many of these basin support frames allow the easy fixing and securing of the water pipes and the waste pipes. 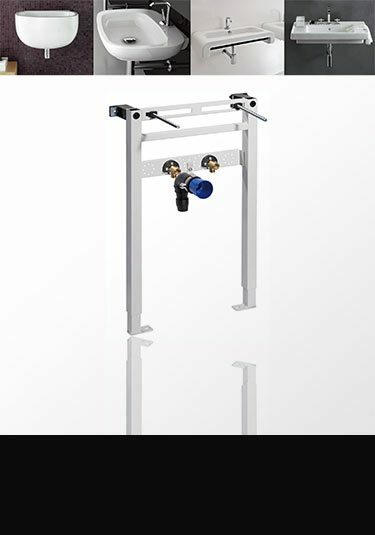 Part of a full bathroom installation frame system allowing a quick and easy installation of basins, concealed toilet cisterns, wall hung bidets and frames for installing shower controls,shower heads and taps, all European manufactured.